We drove over to Gatorland today to get in a bit of birdwatching. Those adventures have been rare lately, and today was not the best for photos. It was overcast and it began to rain less than an hour after arriving. Today, a female caught my attention and I was able to get a few fairly decent photos of her. I am always thankful for any bird that poses for me. Were we discouraged? No way! We love watching birds and “trying” to take their photo, no matter what the weather. The Lord should give us pleasure in seeing His Creation, whether it is raining or not. Right? 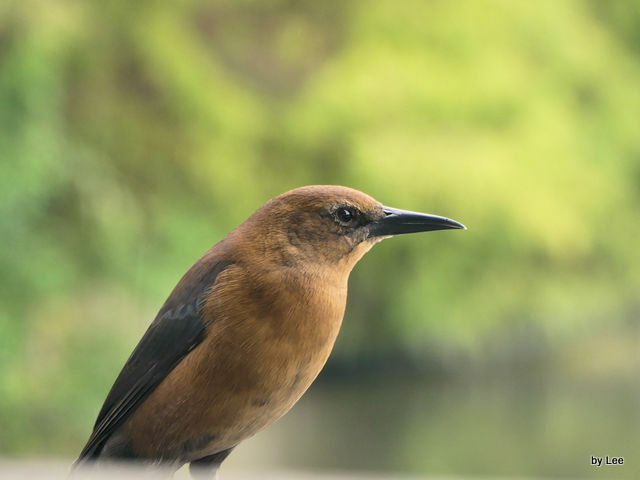 The Boat-tailed Grackle (Quiscalus major) is a passerine bird of the family Icteridae found as a permanent resident on the coasts of the southeastern United States. It is found in coastal saltwater marshes, and, in Florida, also on inland waters. The nest is a well-concealed cup in trees or shrubs near water; three to five eggs are laid. 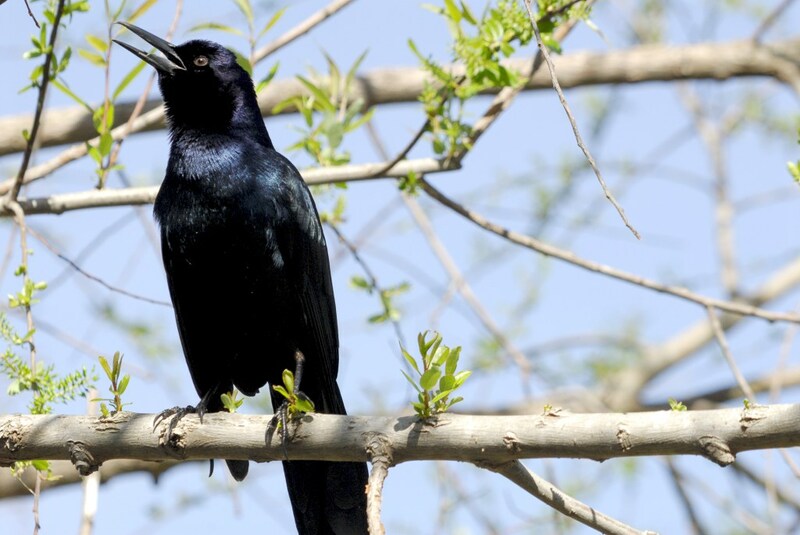 The male boat-tailed grackle is 37–43 cm (15–17 in) long and weighs 165–250 g (5.8–8.8 oz). Adult males have entirely iridescent black plumage, a long dark bill, a pale yellowish or brown iris and a long keel-shaped tail. The adult female is much smaller at 26–33 cm (10–13 in) long and a weight of 90–115 g (3.2–4.1 oz). She is also distinguished by her shorter tail and tawny-brown coloration, which covers the body apart from the darker wings and tail. The wingspan in adult birds is 39–50 cm (15–20 in). 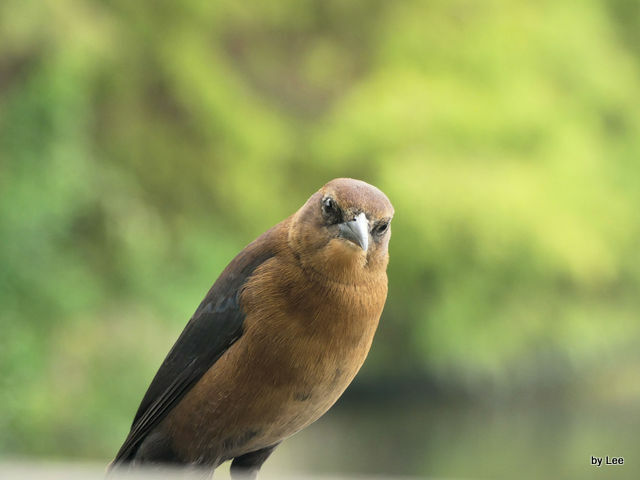 These birds forage on the ground, in shallow water, or in shrubs; they will steal food from other birds. They are omnivorous, eating insects, minnows, frogs, eggs, berries, seeds, and grain, even small birds. 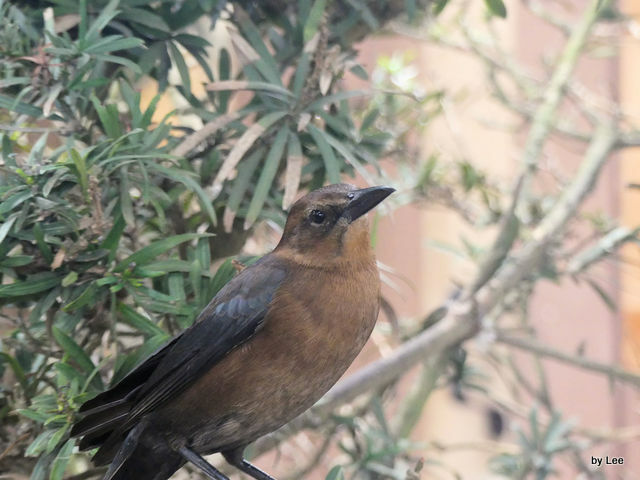 Boat-tailed grackles have established significant populations in several United States Gulf Coast cities and towns where they can be found foraging in trash bins, dumpsters, and parking lots. They also mooch off the food thrown to the gators and other critters that the visitors feed. 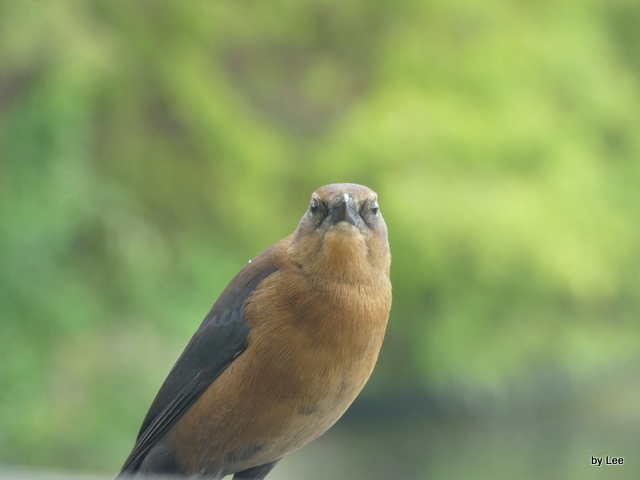 This bird’s song is a harsh jeeb, and it has a variety of typically grackle-like chatters and squeaks. 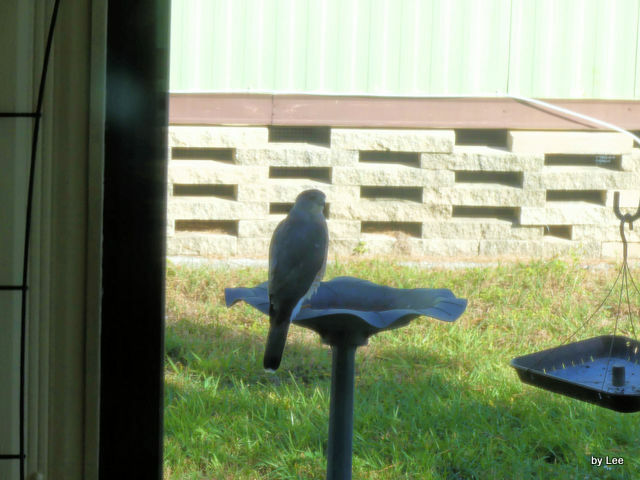 I glanced out the kitchen window yesterday and this Cooper’s Hawk was sitting on the bird bath. I hurried to get the camera before he flew off. This is through the window and the screen. The day before that, this Hawk was sitting in our carport on the water hose winder. We have feeders and the bird was probably waiting for lunch. No camera then. This is a life bird for our yard. Yeah! Stay tuned! There are more photos to work on from this latest adventure. We always enjoy our trips over to Orlando to visit Gatorland. Well I see a j mithra has been busy again. He has produced another YouTube with the birds. 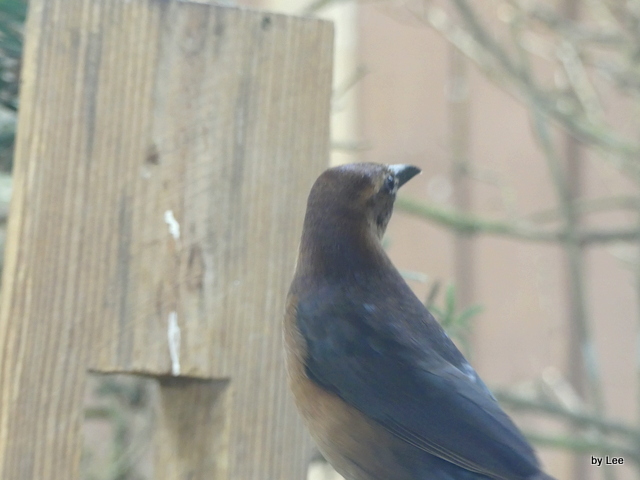 This time he has used the Boat-tailed Grackles. Hope you enjoy watching it.